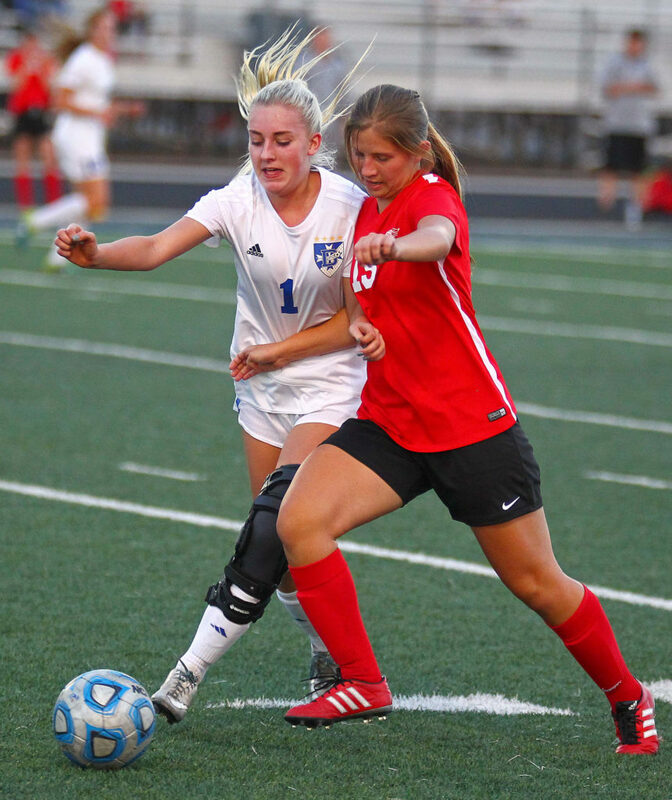 ST. GEORGE – Dixie dominated offensively, but Hurricane had the defensive answers as the two teams tied 1-1 in double overtime in the Region 9 girls soccer opener Wednesday night at Walt Brooks Stadium. 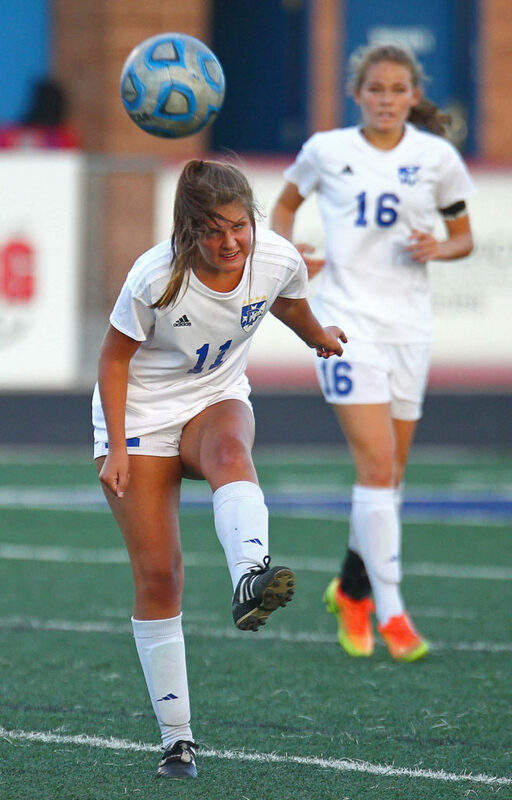 Hurricane’s Abby Hall scored off a scramble in front of the net with nine minutes gone on the first half. 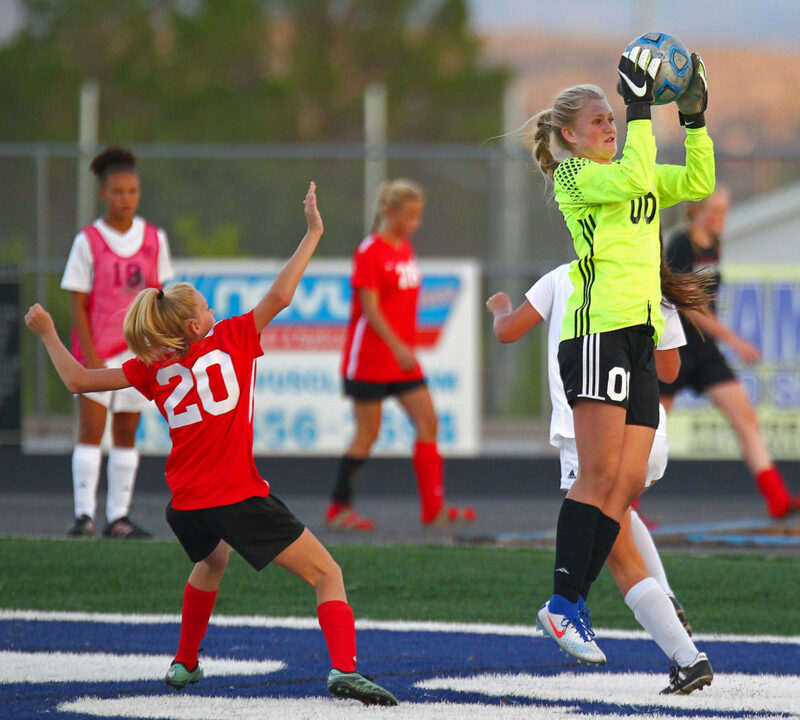 Dixie’s Megan Preece looped a shot over Tiger keeper Madison Branch two minutes into the second half. Otherwise the two teams sailed the ball back and forth. 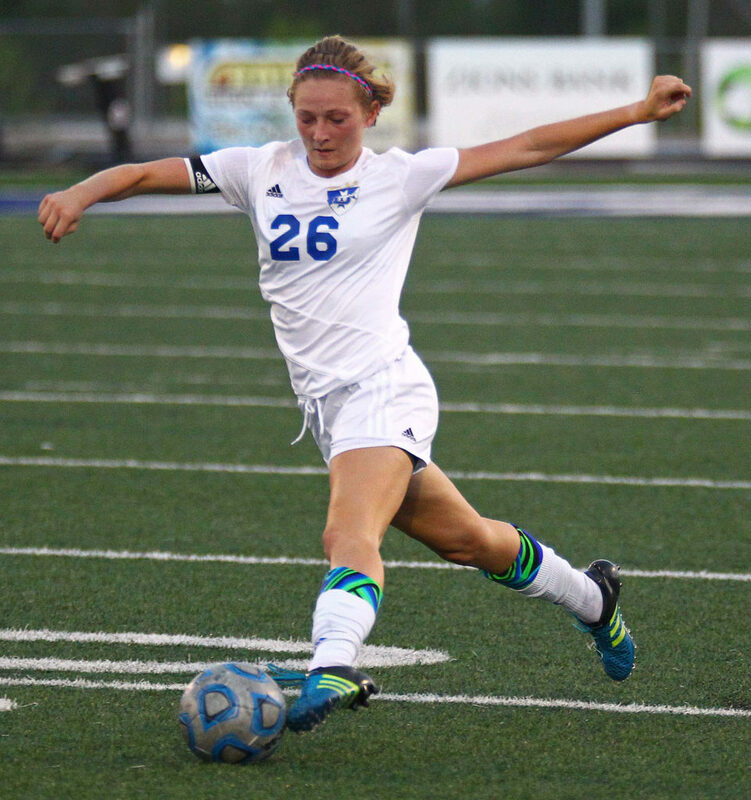 Dixie had nine solid shots on goal to Hurricane’s two over the final 50 minutes. 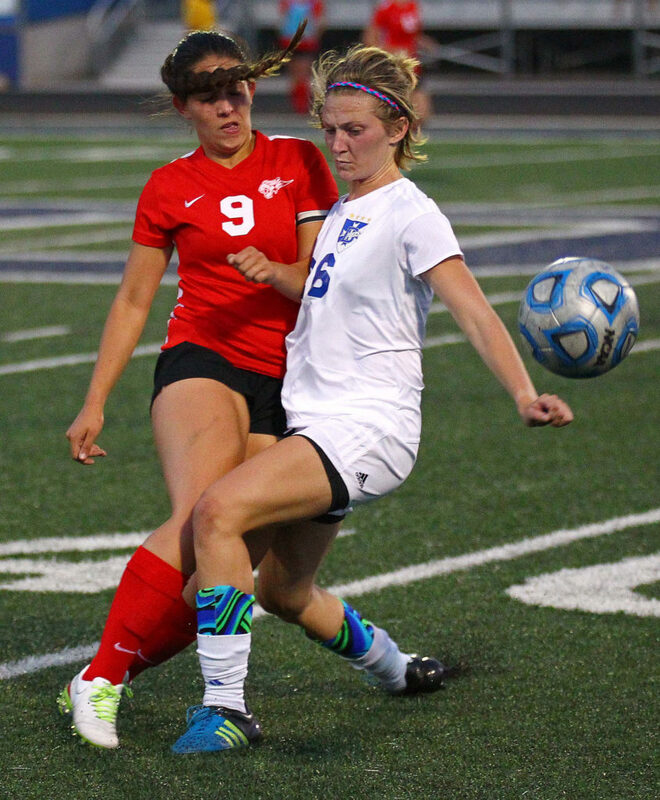 “Give it to Hurricane,” said Dixie coach Burt Myers. “They out-physicaled us all game. Hurricane played good and hard. We got all the shots, but you let them hang around and this is what happens. Coach Luke Stevens of Hurricane was pleased with the outcome. 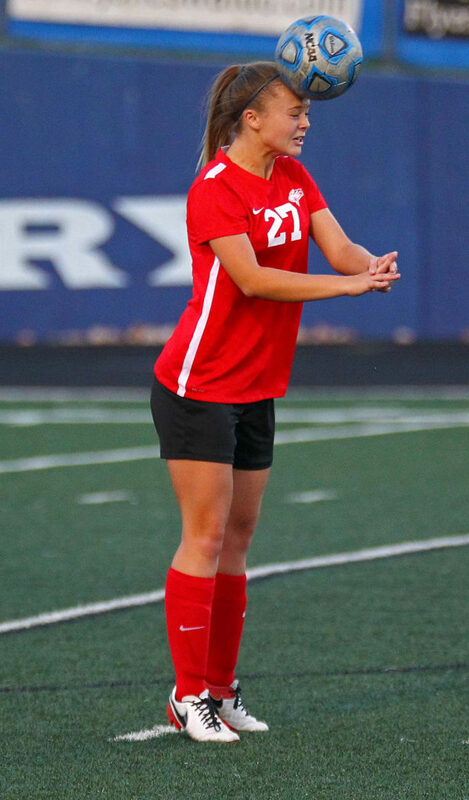 Hall got her goal when she booted in a deflection off a Dixie player. Dixie then had a half-dozen wide shots before Branch got a save. 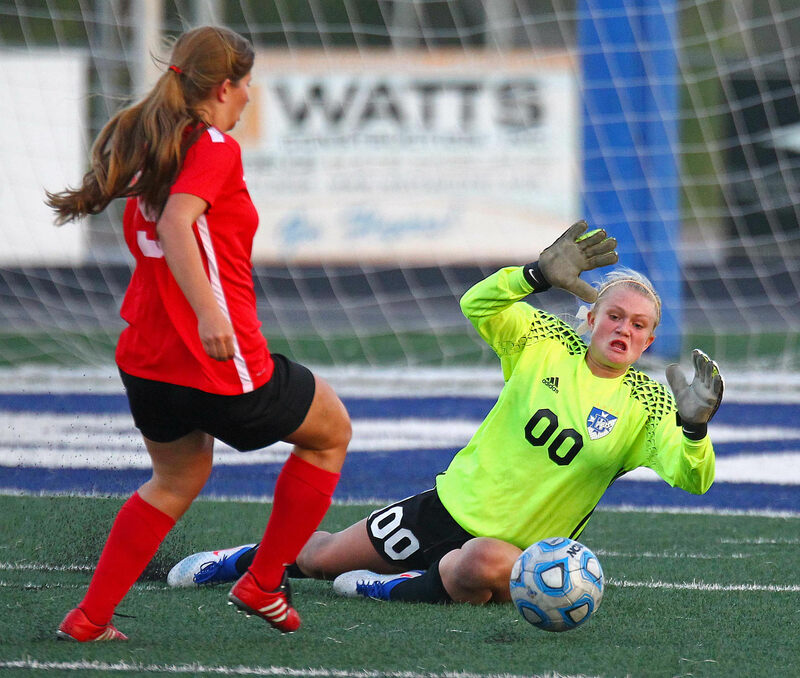 The Flyers Mashaun Estridge got a tip over the goal ahead of one of Starlee Woodbury’s many side shots. The Tigers finished the first half with a wide shot. 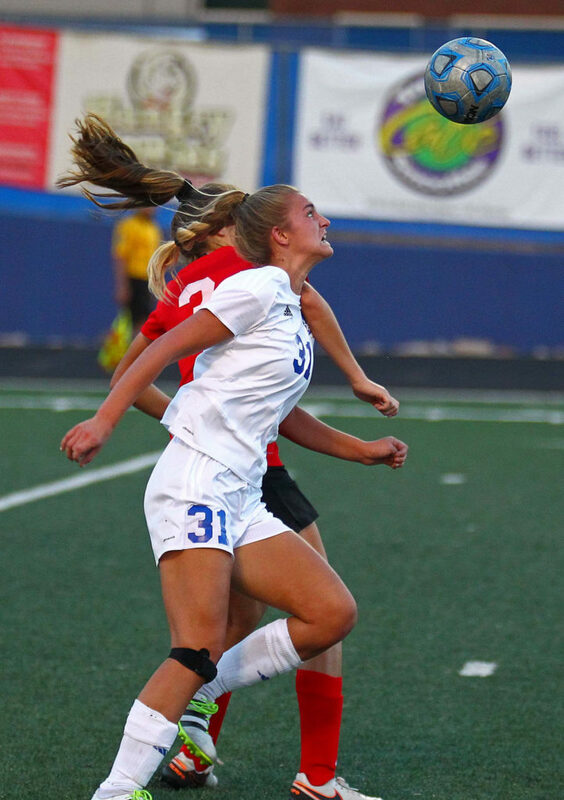 After Preece got her equalizer, Woodbury had a couple of solid shots, one of which Branch saved, and a cross that Branch also stopped. 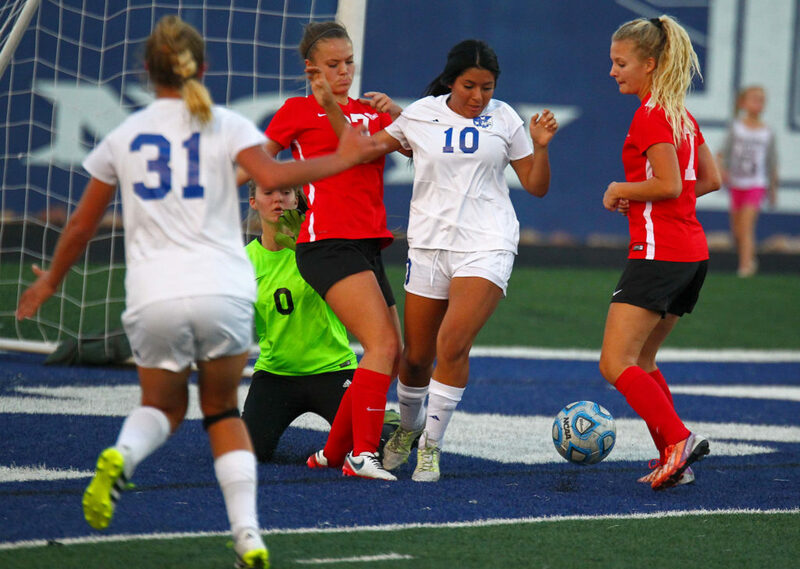 Vanessa Bonilla was off on a header and the Tigers Madison Hirschi got off a weak shot that Estridge stopped. 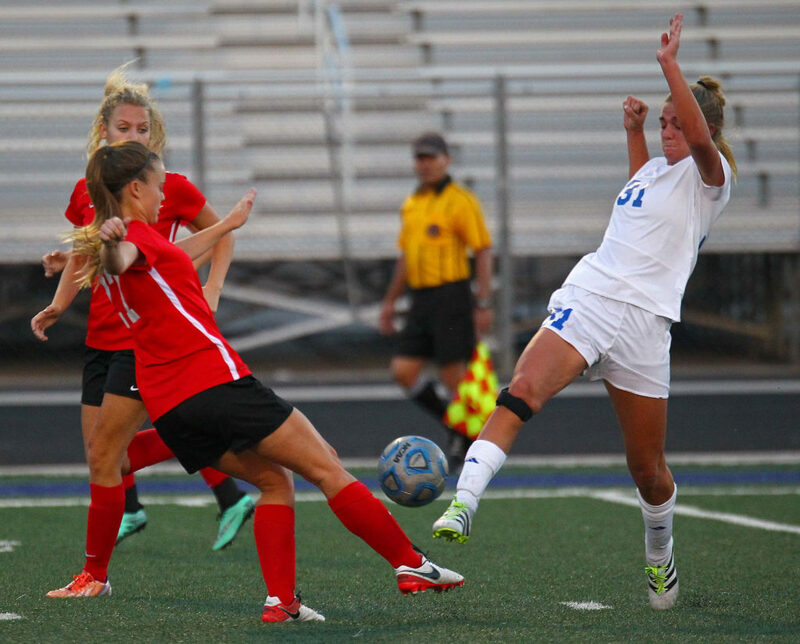 Woodbury had a straight-on shot with about seven minutes left in regulation, but Branch tipped it over the net. 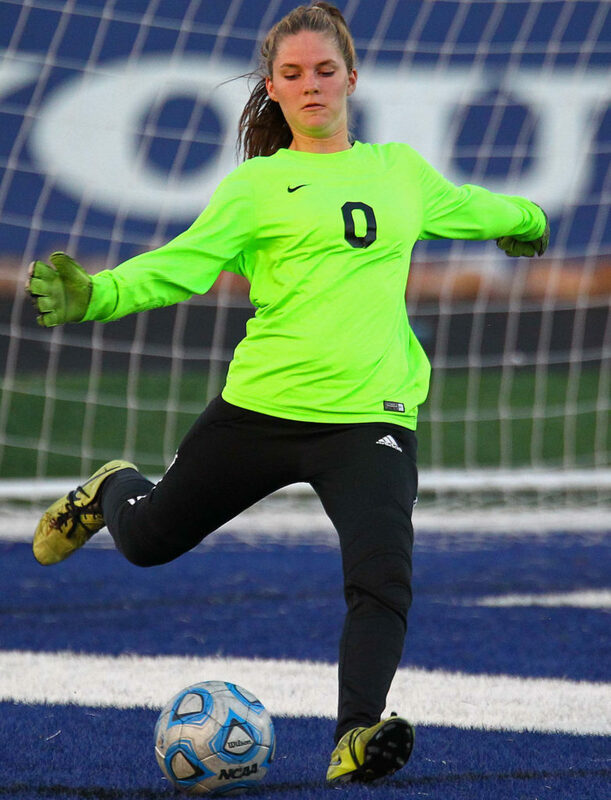 Liz Durrant had a shot sail high and Woodbury had another cross stopped before overtime began. In the first overtime, Hall got off a shot which Estridge stopped and Woodbury got off one which Branch got in front of. 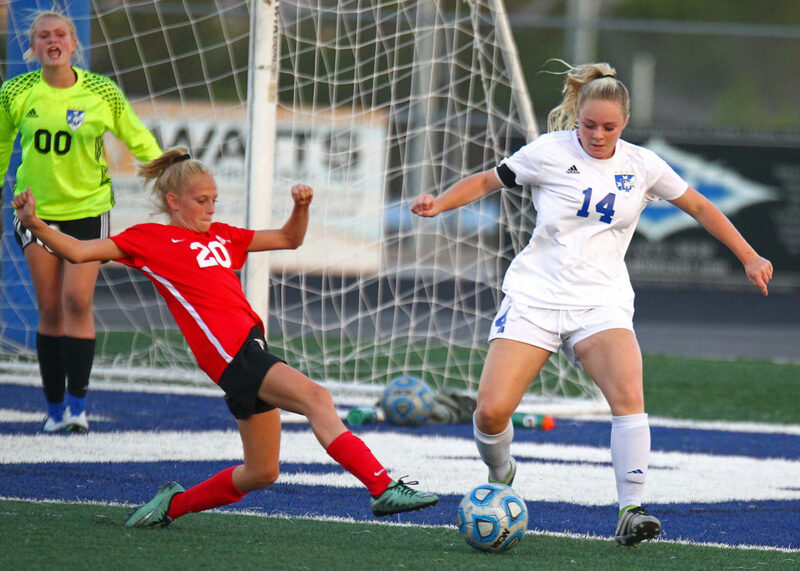 Dixie got off two shots in the second overtime, with Kennedy Warnick having one blocked and Woodbury getting off another shot that went awry. “I don’t think Hurricane has beaten or tied us for eight or nine years,” Myers said. 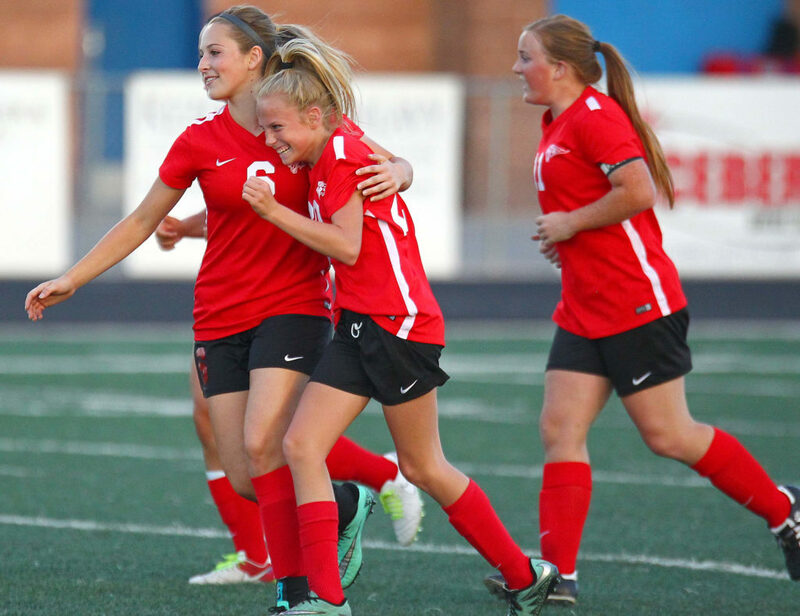 Hurricane, 4-2-1 overall and 0-0-1 in region play, will return home to host Desert Hills next Tuesday night with a 7:30 p.m. kickoff. 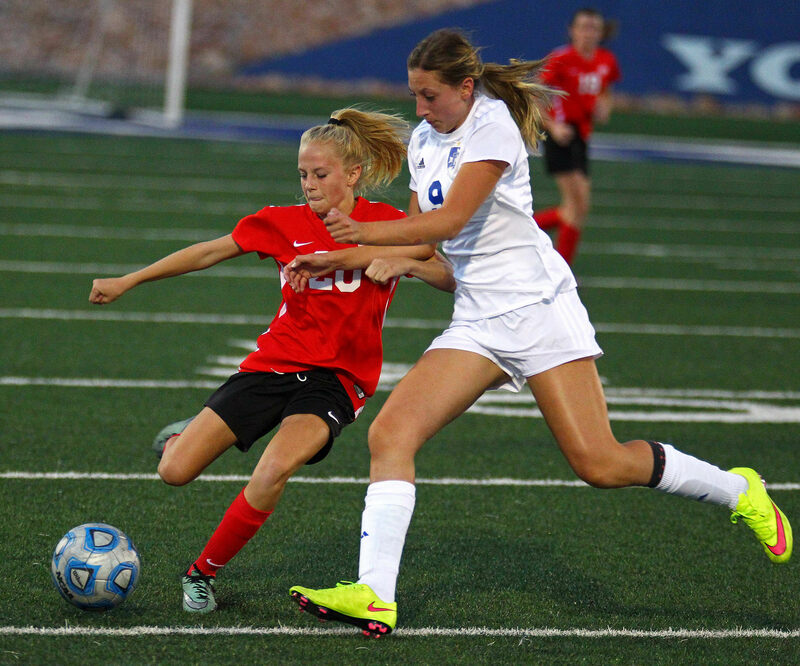 Dixie, 4-0-1 and 0-0-1, hosts Cedar in its next action next Tuesday night at Brooks Stadium.